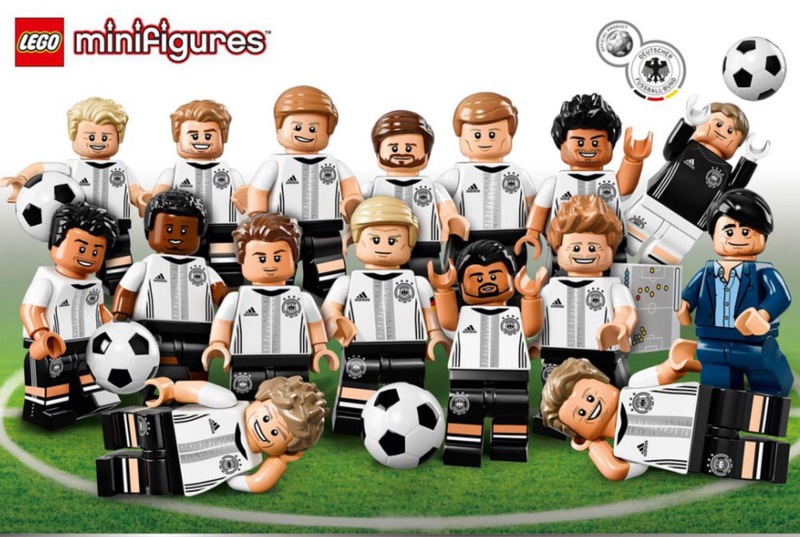 LEGO Minifigures Series DFB team 71014 – collect all the players of the German national football team, these include the coach Joachim Loew , the goalkeeper Manuel Neuer , defender Jerome Boateng , Mats Hummels , Benedikt Höwedes and Shkodran Mustafi , midfielders Bastian Schweinsteiger . ( captain ) , Mesut Ozil , Thomas Mueller , Toni Kroos , Sami Khedira , André Schürrle , Marco Reus , Christoph Kramer and striker Mario Götze and Max Kruse . LEGO minifigures 71014 DFB German football team available now at MinifigureMaddness.com, Express shipping worldwide.